Obituary – Pace, Joann Faye (Gaines) « Perry High School Alumni Association, Inc.
Basketball Queen 46-47, National Honor Society 46-48, Teen Town Council 45-46, 47-48, Teen Town Clerk 47-48, Student Council 46-47, Student Council Treasurer 46-47, Junior Play 46-47, Junior Class Treasurer 46-47, Annual Staff 46-48, Who’s Who in American High Schools 47-48, Homeroom Secretary 47-48, Y-Teens 46-48, Band 45-48. 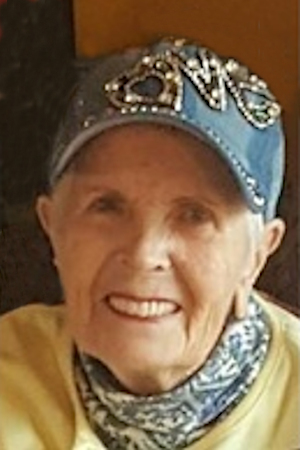 Joann Faye (Gaines) Pace of Oklahoma City, born March 11, 1931 in Enid, Oklahoma, passed away Friday at home, June 8, 2018 at the age of 87, surrounded by family and friends. Joann was born to Samuel and Ida Gaines of Lucien, Oklahoma. Joann spent her childhood growing up in the farming community of Lucien, Oklahoma and attended Perry High School and graduated from OSU. 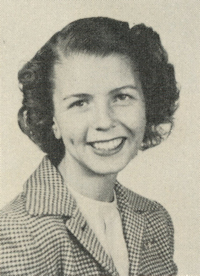 At OSU, Joann was a member of the Pi Phi Sorority. Upon graduation, she married Russell Pace of Perry, Oklahoma. Joann was a homemaker and the mother to Valerie, Russell Jr. (Rusty) and Tom Pace. She later worked as a teacher at Roosevelt Jr. High while completing her master’s in Public Administration at Bethany Nazarene College. While employed part-time at Safeway stores, she accepted the full-time position of EEOC Compliance Officer. She retired from Safeway after 20 years of service as Human Relations Department Supervisor. She continued to serve her colleagues at Safeway as a board of director’s member of the Oklahoma Federal Credit Union. Joann was a tireless and loving volunteer working with Heartline, YMCA, and Skyline Ministries. A longtime member of the Methodist religion, she attended the Church of the Servant in Oklahoma City where she sang in the choir and served as a volunteer in many different capacities over the years. Immediate survivors are Russell Pace, Jr. and his partner Maryjo Meacham, his son, Travis Pace and Tom and Leslie Pace and their daughters, Emily and Abby. Joann was preceded in death by her daughter, Valerie Pace. Services will be held Wednesday, June 13 at 3:00 p.m. at the Church of the Servant at 14343 N. MacArthur, Oklahoma City.